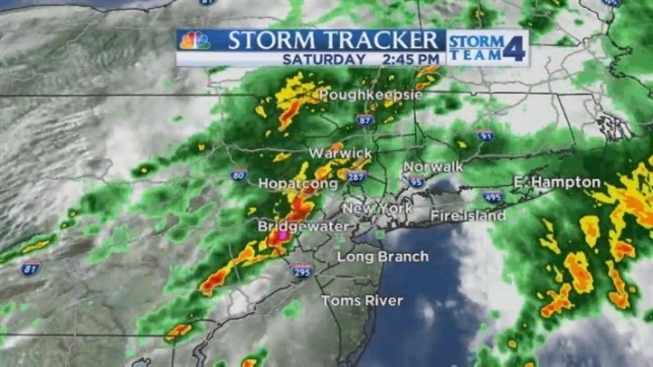 Severe thunderstorms tore through much of the tri-state area Saturday afternoon, bringing heavy downpours, lightning and strong winds. The National Weather Service issued a severe thunderstorm warning for New York City and parts of New Jersey until 4 p.m. People were advised to move indoors because of continuous cloud-to-ground lightning. A flood advisory was also issued for New York City until 4:15 p.m.
As a cold front moved through Saturday evening, the chance of rain diminished. The region should see a partial clearing after midnight. Raphael Miranda's forecast for Saturday, May 11. Better weather is expected for Mother's Day Sunday, with sunny and windy conditions and a high of 69. Next week should start off on a cooler note, with highs in the upper 50s on Monday and low 60s on Tuesday. 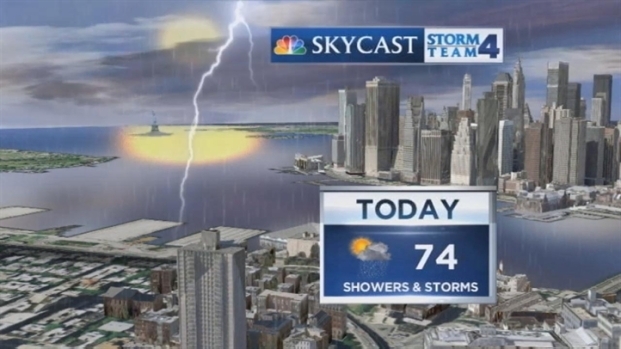 TODAY: On and off showers and thunderstorms. TONIGHT: An early shower/storm, then partial clearing. Patchy fog. TOMORROW (Mother’s Day): Mostly sunny and windy. MONDAY: Mostly sunny, breezy and cool. WEDNESDAY: Increasing cloudiness with a shower at night.